The time has come to define the role of the INTERCONNECT CABLE. by eliminating the pernicious effects of electro-magnetic and radio wave frequencies that are more and more common in our electrical wires and in our every day environment (cell phones, AM/FM, WI-FI, etc.). The main role of the interconnect is to carry the totality of a delicate, non-amplified signal from point A to point B (say, from the source to the pre-amp or from the pre-amp to the amplifier) with the least possible amount of distortion. The interconnect must also retain the harmonics of each instrument and convey faithfully the space and the placement of the musicians during the recording. The better the interconnect, the easier it will be to detect the sound engineer’s work, and to distinguish the different technical and artistic approaches from one recording to the next. If that link isn’t there, no power source in the world, whatever its quality, will be able to compensate. In other words, whatever is lost during the transport of the signal because of a poor quality interconnect cannot be recovered elsewhere. IMPORTANT: What you want is to hear every detail and amazing effect that has been recorded on the CD or disc. Nothing more. Any spectacular or showy effects produced by interconnect cables that favour certain frequencies over others will misrepresent the signal and cause aggressiveness and listener fatigue – both phenomena to be avoided in the digital age. 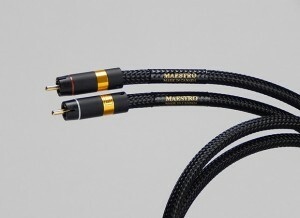 One can be impressed at first by interconnects and speaker cables that harden sounds. But ultimately, they will disappoint the listener as he goes from one disc to another in his collection. N.B. All the small details that make music so delightful are sometimes harder to catch during a quick demonstration session using a system and an acoustic setting different from your home environment. Take the time to listen to your favourite discs and you’ll discover all the subtleties that you might have missed up until now. We have often heard the following: «wow…. I didn’t know that there was a triangle in that piece» or «that piece of music has never affected me like that before». By starting with an AC power supply, each component can perform to its full potential. Then, with interconnects and speaker cables, the signal is delivered in its entirety. If the cables for each connection are chosen with this perspective in mind, you’ll get an unequalled synergy and an exceptional result. The whole being better than the sum of the parts…..
P.S. Obviously, these statements are just as applicable to home cinema and screen images.